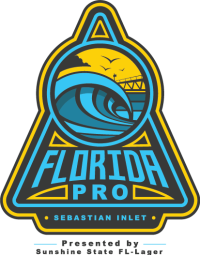 The weeklong Florida Pro will return to Sebastian Inlet in January of 2018 on Florida’s Space Coast, reinforcing the area’s prominence as a world-class surfing destination. The event will host a World Surf League qualifying series event for men and women January 18-24. Florida Pro will feature a Women’s QS6000 competition offering the largest cash prize in the U.S. ($55,500), along with a Men’s QS1500 competition. From January 25-26, Florida Pro will also host a “Champions and Icons” non-World Surf League sanctioned event featuring former World Surf League champions and professionals. To learn more about this event, please visit FloridaProSurf.com or like the event on Facebook here.